Welcome to the first of a new series I’m launching today, Tuesday Q&A! The “Tue” in “Tuesday” kinda, sorta rhymes with “Q,” doesn’t it? (Humor me.) Over the past few years, I’ve met some pretty amazing and inspirational people in the OCD community, and I want to share some of their stories with you. 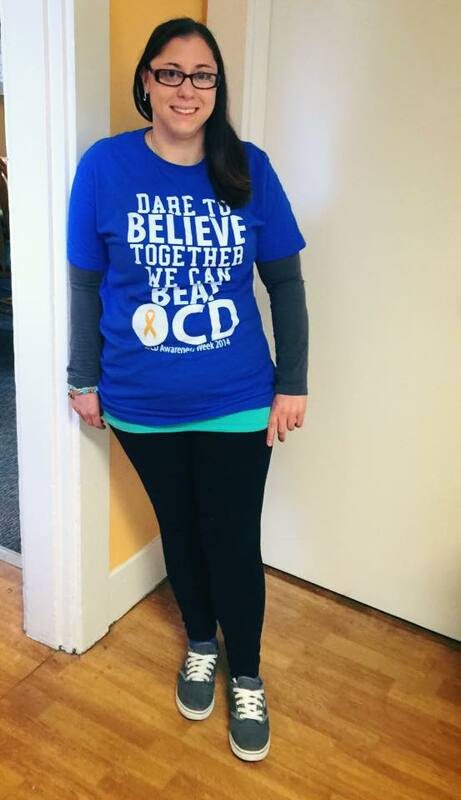 Let’s kick it off with Jessica Bishop, a 24-year-old who has OCD—and who’s working to spread awareness and give others hope. Jess, you’re such an inspiration. I chose you for my first Q&A because you recently completed residential treatment at McLean Hospital in Boston and are now doing well back in the “real world.” How did you realize this more intensive type of treatment was right for you? Did you try other treatments first? I realized that this type of treatment was right for me because I was attending therapy three times a week, which did not help. I then ended up in a few other programs before realizing I needed help in order to function. You were there from August 26 to November 9. Were you nervous about checking in to McLean for an extended stay? I was actually very excited. I wasn’t nervous because I was ready to get help and get my life back, understand what was going on and how to manage it. Describe a typical day at McLean. A typical day at McLean OCDI unit starts at 8:30 a.m., on the dot. Morning group and goal setting starts; appointments and symptom-specific groups along with daily coached ERP sessions are from 10 to 12. The days were hard, long, and tiring. But I kept pushing myself through and saw positive outcomes with the help and support from my peers, my behavioral therapist, and my family therapist, and the guidance from amazing counselors. Can you share some of your obsessions and compulsions with us? Was there one that was harder to deal with than others? Some of my OCD types are contamination, emotional contamination, perfectionism, iteration fears, health anxiety, and intrusive thoughts. Many of my rituals involve checking, counting, reassurance seeking, and asking. My hardest types are irrational fears of glass ketchup bottles and bars of soap. I still believe that the ketchup is poison and it will attack me. When it comes to bars of soap it has nothing to do with germs or dirt, really; my OCD tells me that it’s washing away people’s positive qualities and turning them bad, even if I am just looking at it. Living among so many people who actually understand OCD must have been so comforting, but the main goal was to re-enter your regular life and apply what you learned. How was the transition for you? Being at OCDI was very helpful being surrounded by others who understood me and even had the same multiple OCD symptoms. The transition out for me was not as easy as I was hoping; it took a while to adjust and still some days are easier than others. But I have the tools that I try to utilize and put to work on a daily basis according to my values. McLean has therapy dogs. Tell us more about them and how they helped. The therapy dogs made a huge impact by providing positive support by playing and letting us pet them, give them treats, and take them for walks. They helped me the most when I was feeling sad or upset and their presence calmed me down. 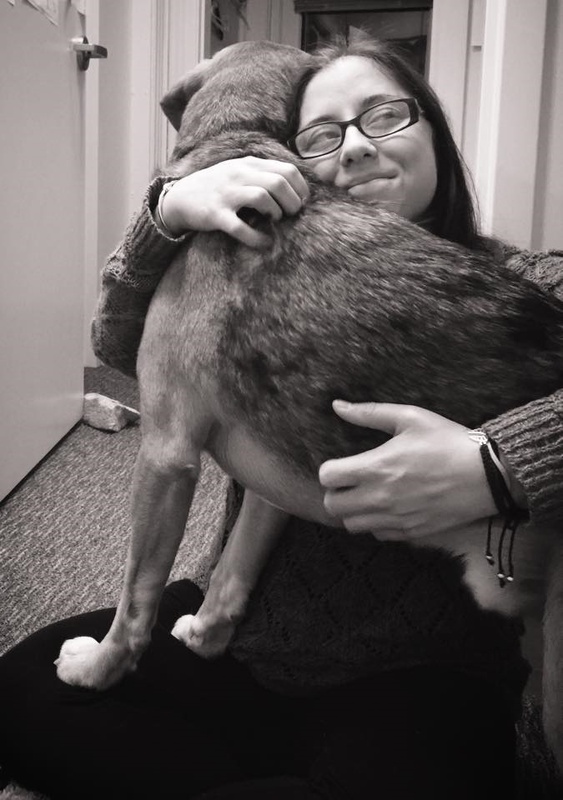 Pets are one of the best types of therapy; they are so innocent and cute! What advice do you have for anyone who’s considering entering a residential treatment program? My best advice would be to trust your treatment team! Don’t leave anything out and fight through the hardest days as those are the best days to reward yourself with learning, achieving, and competing goals. You recently started a blog. What inspired you to start writing about your experiences with OCD? I did just start a blog. 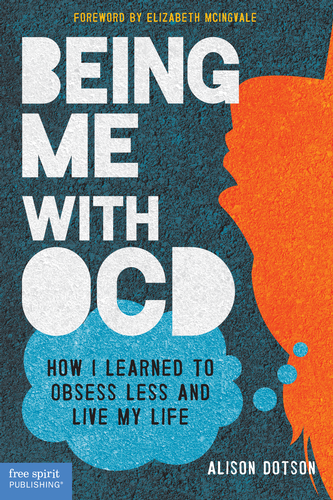 I am inspired to help others understand the true meaning of being “so OCD” and to help end the stigma. What’s next for you? Do you have long-term plans for advocacy? I don’t know what is next for me at this time. I am currently working on treatment and ERP still with my outpatient team and I am finishing college to get my bachelor degree. I plan to continue to further my education and involvement with OCD, mental health, and expressive therapy. If you could share just one piece of advice with someone who’s struggling with OCD, what would it be? The best advice I would have to give out would be to remind yourself that OCD just wants power, it likes to lie and take over. Don’t let it—use mindfulness and grounding techniques to get by, take your thoughts, emotions, and feelings with you wherever you go, sit with them, and continue on. At the end of the day it doesn’t matter how you felt, but how you lived. And there is help and there is hope!